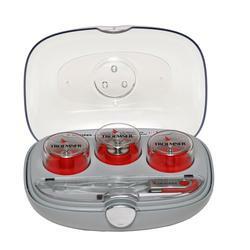 The three weights included in the set will test the accuracy and linearity of your balance throughout its entire range. Cal-Pak components and carrying case are linked through the use of a unique serial number. You can trace your individual weights to the appropriate NVLAP Certi.cate and master carrying case. 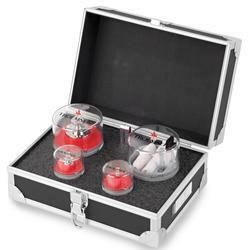 Cal-Paks are supplied in a case with accessories for care and handling of the weights including gloves and forceps. Cal-Pak components and carrying case are linked through the use of a unique serial number. You can trace your individual weights to the appropriate NVLAP Certi.cate and master carrying case.